The Wing-Off crew is no stranger to rivals. I mean really, how many “best Wings” can there really be out there? Not that many to tell you the truth. 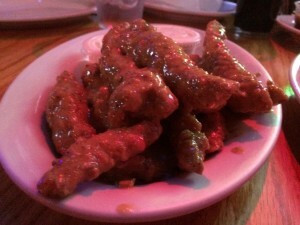 The problem with Hot Wings is that any restaurant or bar can serve them but very few of them do this coveted Food item justice. Because you have a frier and a bottle of Frank’s Red Hot, does not make you a Hot Wing wizard. It takes the right Chicken, the appropriate cooking temperature, exact crisp to juiciness ratio, a finely curated, multi-dimensional Sauce, clean cooking Oil and even when you have that, you still have to master consistency which is the hardest part of it all. 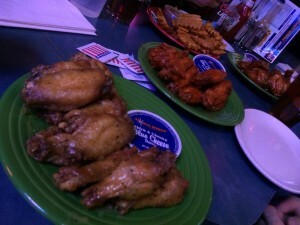 So when we are set out to find the best Wings, we take all of this into consideration. That’s why when I recently met Adam Lippin, I knew exactly what the next Wing-Off would be. Adam is the founder of Atomic Wings. 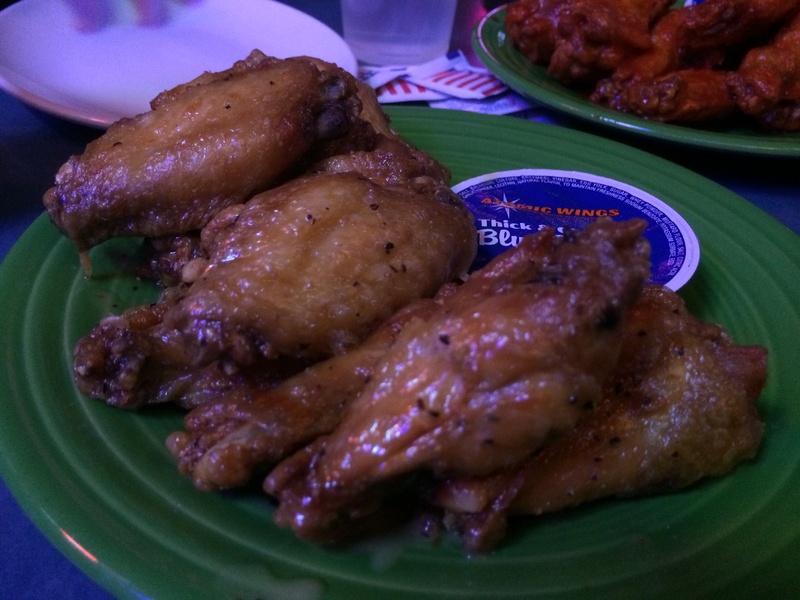 If you’re a Wing fan in NYC, you’re familiar with Atomic. Atomic Wings has been on the scene since 1981. 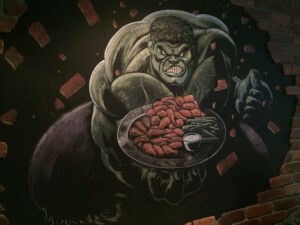 His mission was simple, to bring the great flavors of Hot Wings that are found in upstate NY, back down into the NYC area. Since then, they’ve expanded into all 5 boroughs, Long Island, CT, NJ & PA. In Manhattan, you can find them at places like Down The Hatch, Westside Brewhouse, Matt’s BBQ and their own stand alone locations. 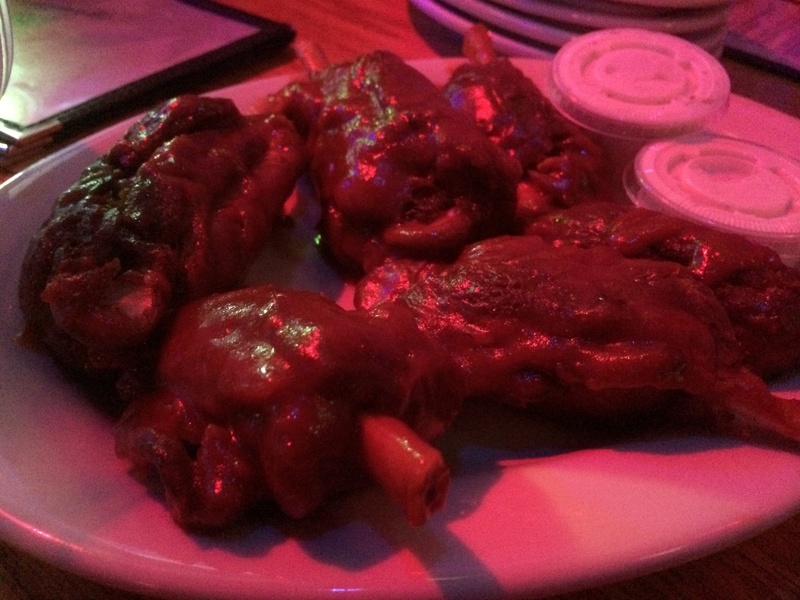 You can also take them on head to head at 2 of the oldest bars to carry Atomic Wings; The Blue Room and Bar-Coastal. After a long talk about Hot Wings with Adam, that’s exactly what we set out to do. The Blue Room is a classic NYC dive bar with mismatched seats, uneven tables, cheap beers, friendly staff and a complete lack of pretension. If you’re going to The Blue Room it’s because you either want some cheap Drinks along with great tasting Hot Wings or you want cheap Drinks while watching sports and then eventually probably ordering Hot Wings. If serves the purpose of fulling your need to unwind at the end of the day with some Beers and Hot Wings. The menu at The Blue Room is 100% Atomic Wings because it’s actually a separate business. This means at the end of your meal, expect 2 checks. We decided to try our taste buds at a couple different flavors since the Atomic menu is robust with so many choices. We nailed it down to Lemon Pepper, Thai Chili and regular old Medium Hot Wings. It was only a matter of minutes before our table was filled with fried-Chickeny goodness (note, we were the only table ordering Food at the time.) 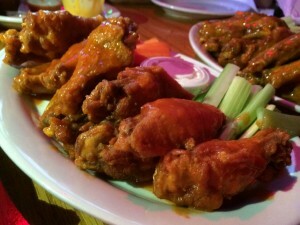 Sauces aside, all the Wings were hot, crispy, a little juicy and more the most part, pretty good. No rookie Wing action here. In terms of the sauce, the Medium, as per it’s name, was right down the middle. The Lemon Pepper really struck a chord. It’s such a simple concept but done the right way it has a little sweet, a little sour & a little bitter. The Thai Chili were good too with a decent tang. They were definitely the messiest of the 3. The winning moment might of been the crispy Waffle Fries dipped into a concoction of all 3 sauces mixed with Blue Cheese. Try it. Jason Catlin is the freaking man. If you have ever been to Bar Coastal and met Jason, you’ll agree. It takes a special kind of person to not only run a bar in NYC but one that also has great food, great atmosphere, drinks for almost all crowds and also be successful. Jason is that man and most of the time, he’s in the bar, greeting people, saying hello, testing Wing sauce recipes or standing behind the bar serving drinks. 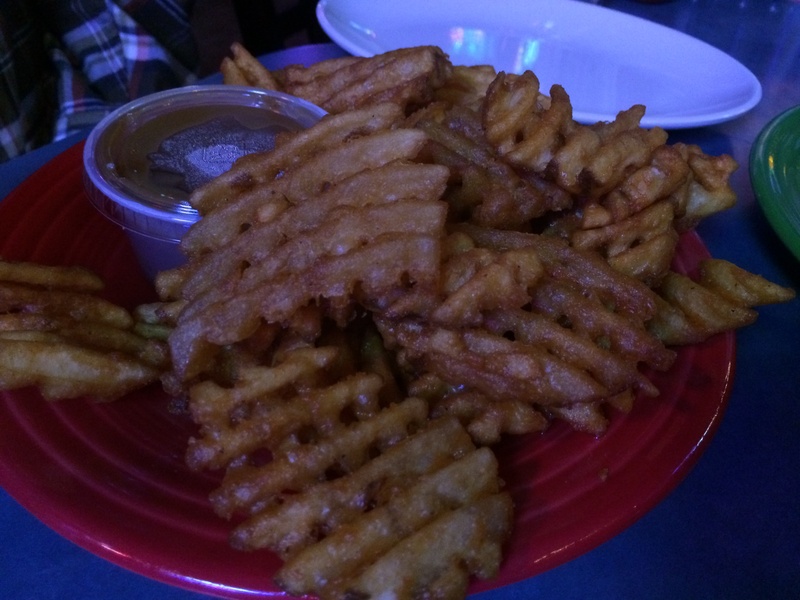 The guy has stories for days and is a true, true, true fan of bar Food and culture. So much so, that we’ve even invited him out to join the Wing-Off crew. He’s also the only person ever to win a “best Wing in NYC” trophy from the Wing-Off crew. Bar-Coastal has all the standard Wing sauces but also a number of their own that Jason created himself after years of working with Atomic Wings. You can order them as traditional Chicken Wings, Boneless or as Pork Wings which are more affectionately called “Porkers.” Every Wing that comes out of the Bar Coastal kitchen is damn near perfect. 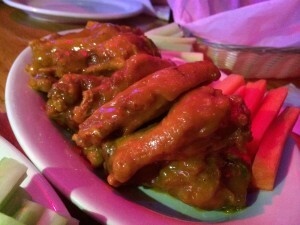 After just one bite through the crunchy skin and into the juicy meat of a hearty Wing, you’ll know right away that Bar Coastal does not skimp when it comes to their Wings. 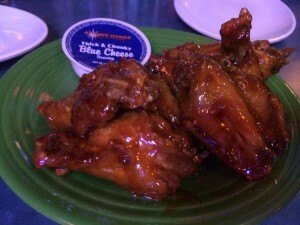 Be sure to order the off-menu “Kerry’s Way” sauce on your Wings for an extra sweet and savory experience. 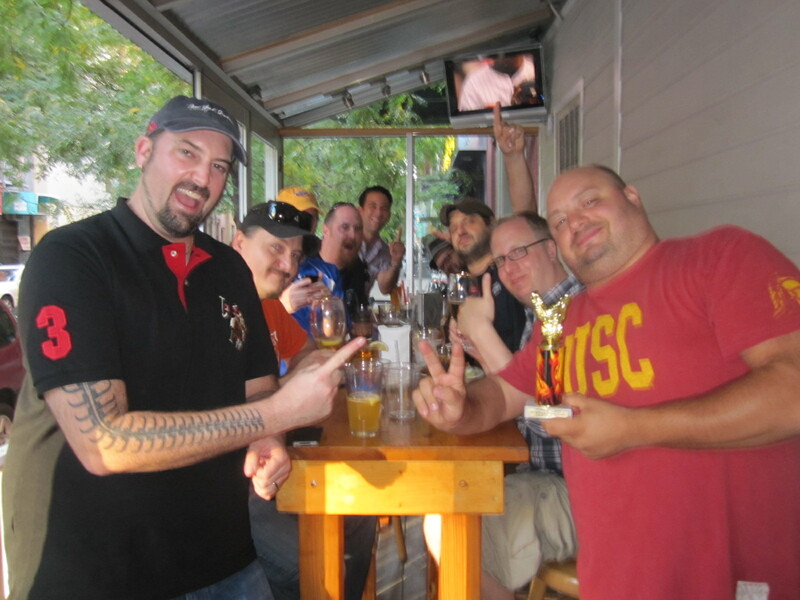 WING-OFF 23 OFFICIAL WINNER – BAR-COASTAL! You probably didn’t have to read past the Bar Coastal review to know who won this one. 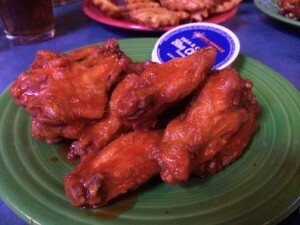 The Blue Room makes some excellent Wings and in general, you can trust the Atomic Wings name to deliver true Buffalo style Wings. As proof, check out the Wing-Off Historical and you’ll see that Atomic Wings at Down The Hatch is in part responsible for this club. You won’t be let down at any of their locations, especially The Blue Room. 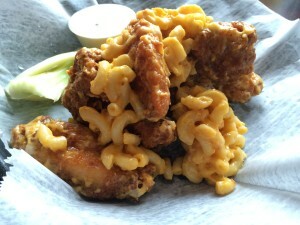 As for Bar Coastal’s Wings, plain and simple, they are some of the best in NYC. You don’t have to take our words for them but if you’re reading this, why wouldn’t you?